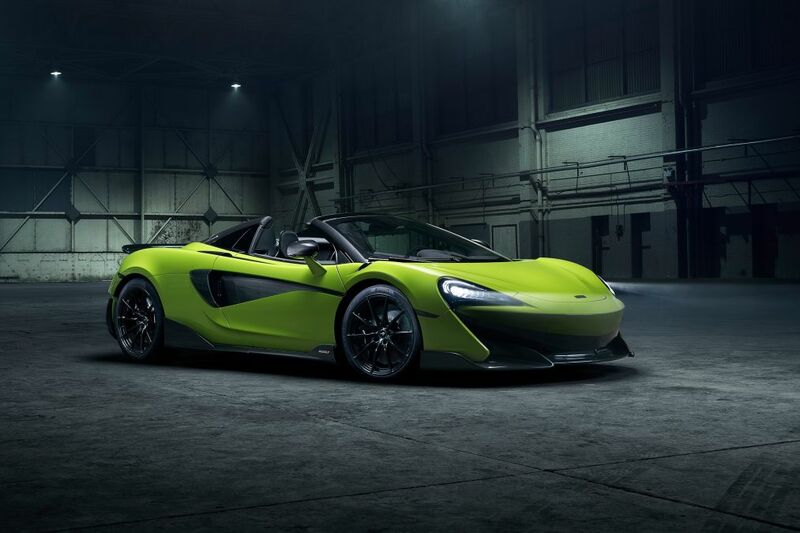 McLaren have revealed a new Spider version of the track-focused 600LT, making it the fifth car to earn the Longtale name. Thanks to McLaren’s carbonfibre tub chassis, the Spider requires no additional strengthening so it should deliver the same thrill as the coupe. The Spider will get the same mechanical running gear as the coupe; a 3.8-litre, twin-turbocharged V8 engine that produces 592bhp and 457lb ft. of torque, with a 8500rpm rev limit. Power will be delivered via the paddle-shift operated, seven-speed dual-clutch transmission. The drop-top will benefit from the same electrically folding hardtop mechanism from the ‘Sport Series’ McLaren models, which will only add 50kg to the dry total of 1297kg. The 600LT Spider is on sale now from £201,500 with the 12-month limited production due to commence in March 2019. For a Finance Quote on a McLaren, click here.